The purpose of the Jakarta Pool League (JPL) is to organize opportunities for pool players to compete and socialize. The league organizes two separate billiard competitions each year, the Jakarta Men and Ladies Pool Leagues (JMLPL) and the Jakarta International and Ladies Pool Leagues (JIPL). In addition to regular fixtures, the JPL hosts exciting singles and team competitions and parties. The JPL is organized by a group of volunteers, who form the League Committee. Nobody receives a salary from the JPL, but small costs are incurred for secretarial assistance and website work. The web site address is www.jakartapoolleague.com and will constitute the major communication medium for the Captains and players. One of the main activities of the Committee is fund-raising and sponsors are invited to make significant contributions to the League, in exchange for increasing awareness of their brands and special offers. The funds raised subsidize the League's trophies and parties. The League also charges each participating bar a nominal league "participation" fee, and they also offer 'happy hour' prices to all players during League match nights. To achieve the support of our sponsors, we need to allow them to promote themselves. We do this through posters in the participating bars, logos on team shirts and other means (e.g. promotion staff attend some league fixtures). They also receive advertising on the league web site. This year, the Committee also has offered them a medium to promote their goods, services or special offers through the internet. Occasionally, the Committee will send, via email, notices to all players promoting sponsor's products and services. Sponsors will not receive any email addresses from the Committee, or any other third party. While most of us are bothered by too many irrelevant email messages, these infrequent messages will be relevant to our players and very important for the promotion of the League. All promotional emails will stop at the end of each JMLPL (Jakarta Men and Ladies Pool Leagues) and Jakarta International and Ladies Pool Leagues (JIPL) competition's season. Receiving an occasional interesting email is a small price for the players to pay for two, ten-week seasons of pool, parties and good times. Welcome (back) to the Jakarta Pool League. The League Committee is committed to ensuring positive experiences for all participants. Your input is invited, so drop by the web site and share your thoughts with the Committee. Yes, I guess I started the whole idea of the expat pool competition, but, as I was still relatively new as a publican, I thought it was a good idea to get the experienced godfather of the current expat bar scene involved first, Darryl Patton. He was immediately enthusiastic about the idea, and, as a result, in late 2002, the first meeting regarding a pool competition was held at P's Place on Jalan Jaksa. In attendance, were Darryl, his brother Paul and myself. We put together a list of bars we considered 'expat' oriented and invited these bar owners to a meeting to sell the idea, which subsequently took place in BuGils Cafe. Darryl recollected for the group an earlier pool league in Jakarta, which had stopped some 10 years earlier. He felt the reason this competition was cancelled was because some of the players involved had taken the games much too seriously and it had ceased to be fun. It was our desire to prevent that from happening again. As Indonesians already had their own competitions, we originally had thought to make it an 'expat pool league', but we ended up deciding that locals should play in order for the new competition to fit into Jakarta's culture and expand the league's oveall appeal. It just didn't seem right to exclude our host country nationals from the competitions, and we were proven right. Another important decision we made was to use world standardized, international 8-ball rules. For some expats who have lived here for years, this was hard to accept at first, as they were used to the playing the rules generally accepted at the pubs they frequented. The problem for the new league was that each of the individual bar's rules were in conflict with one another and this would lead to unnecessary rule disputes. As it turned out, the adopted international rules were not only logical and speeded up play, but they also helped to improve the individual player's skills too. We knew the first year wouldn't be easy and would be full of growing pains, but the league has prospered and the number of enthsiastic expats and locals participating, has grown steadily to the current 274 players, playing for 24 teams, from 14 sponsoring pubs. 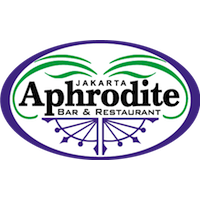 The league not only brought expats and Indonesian players together in a friendly, competitive environment, but the participating bar owners have gelled as well. Fred Alloysius was the most active organiser from the start and we have become good friends, mainly due to the new pool league activities. He is a man of motivation and action, and I figured he was the perfect person to get things done and lead the league. Fred's the real reason why the league is alive and kicking today. I'm sure that every participant is not always happy about every aspect of the league's operation, but the League Committee is determined to do what's necessary to make it the best experience possible. I recall one expat angrily approaching me one night and telling me that the league was initiated only so the bar owners and beer producers could make money. "Its all about greed! ", he shouted with a disgusted expression. I never figured out why he had this sudden outburst, but, in the current competition, he is still playing every week, having fun and enjoying happy hour prices in every bar in which he plays! People like him make the Jakarta nightlife and pub scene colorfull and we should always remember that we need to get better too. I am proud to see the league where it is today and am optimistic for its growth potential. The league's activities provide a great stress relief outlet for busy people, and easy way for them to meet a large number of new people. It's also proving to be a lot of fun for all involved! And, as my friend originally thought ... it's turned out to be good for business as well!